The Black Mage army grows. Cavalry was always a gap my Khadoran forces (aside from the Dragoon units), one part was the rules confused me and the other I just didn’t like the models. Second part is the same reason for my lack of winterguard. 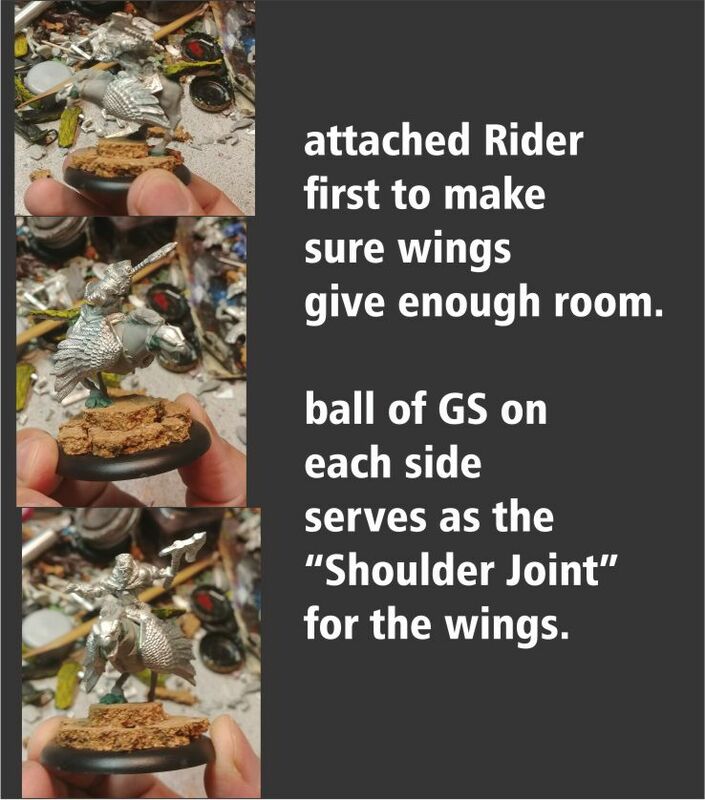 while bodging my other Greylord models into Black Mages the Outriders went on sale. Still didn’t like the horses. The clear path was to replace them with Chocobos. Tricky part was figuring out how without seeking additional models. 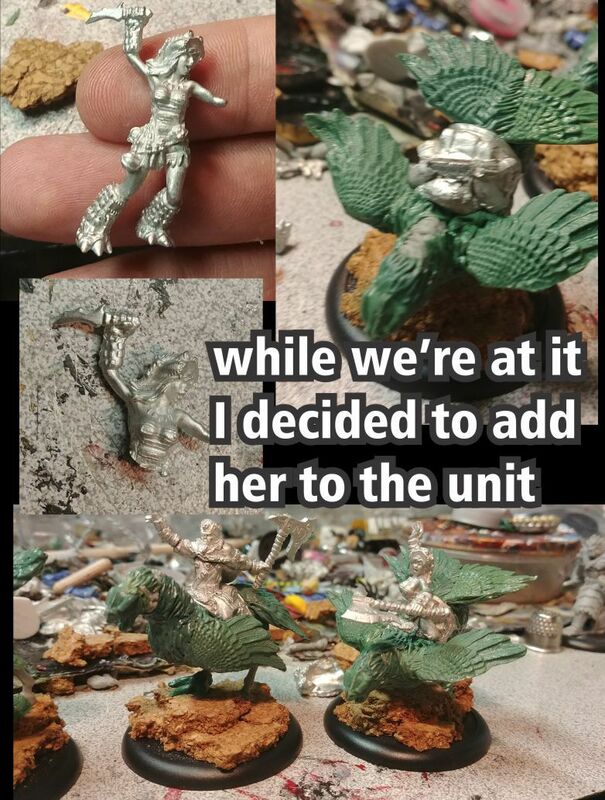 I’ve made one years ago as part of a Fenris/Fighter conversion but it wasn’t great or viable to build enough for a whole unit. So I butchered it for it’s wings to be used for this bodge. 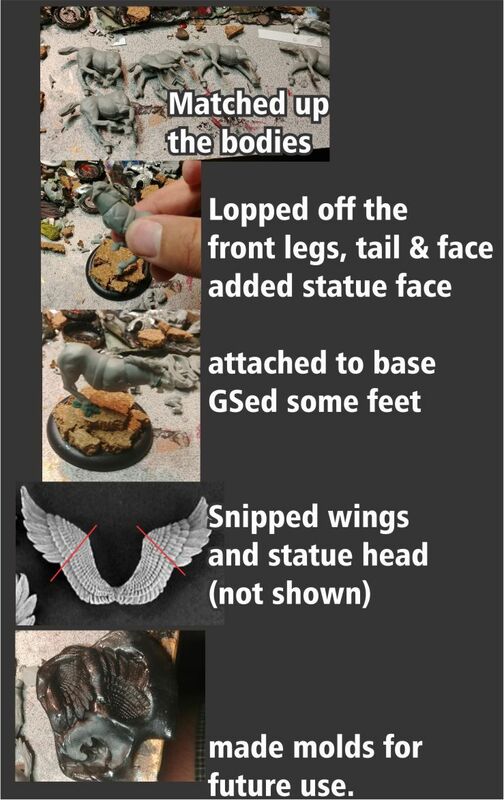 Some of my methods MAY be questionable to some (lack of pinning for one) but ideally stuff shown here will be helpful. 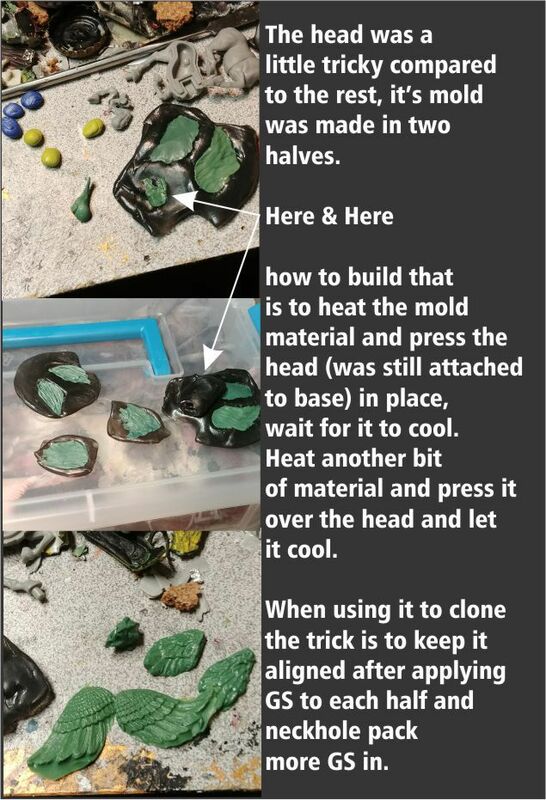 First step was to build one to see if the idea would work. 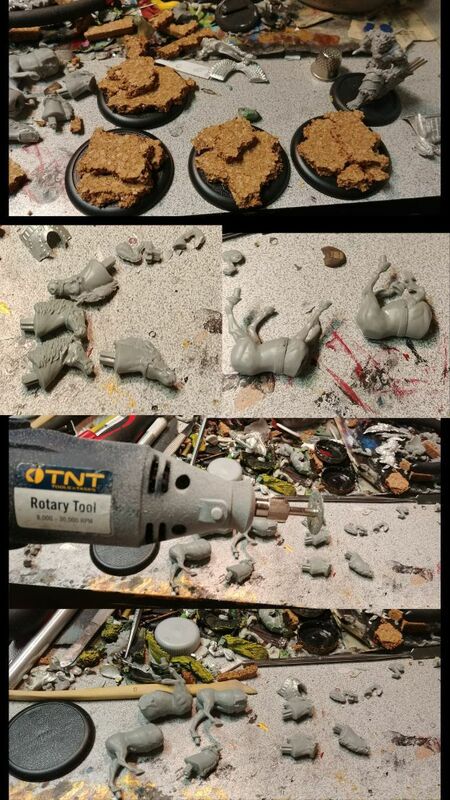 With those bits in place it was time for some sculpting. It was sorta implied before but I will make it more clear here. 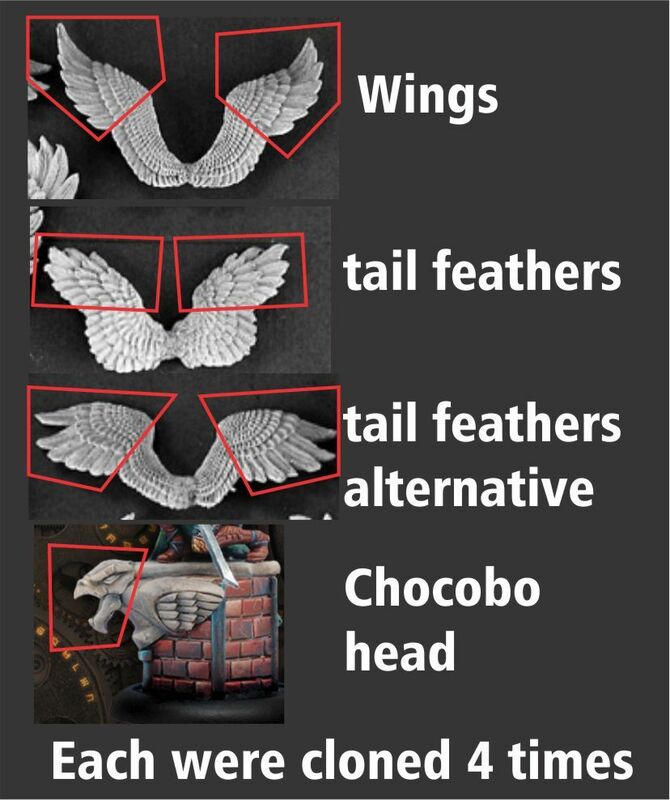 These are the parts cloned and what they were used for. and how that process looks. and once I got enough parts cloned it was time for assembly/sculpting. After that it was the painting process. 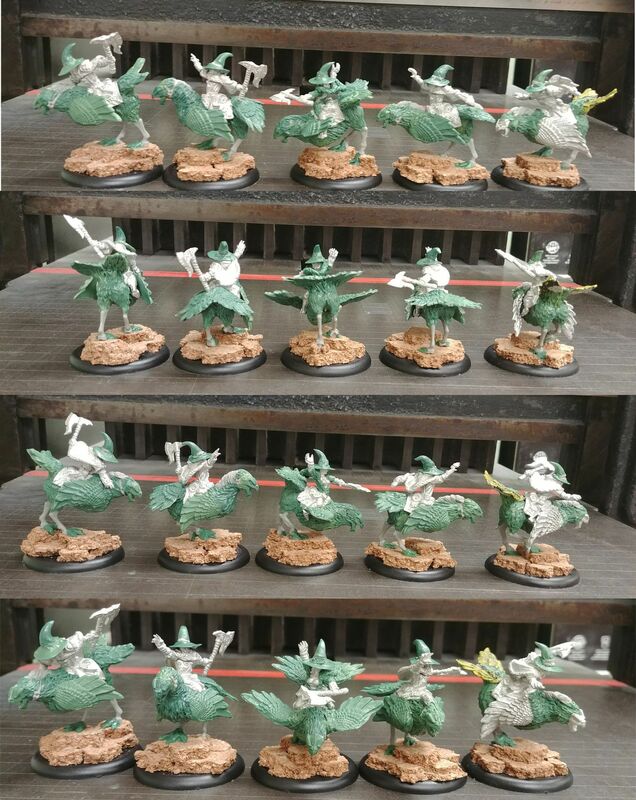 I started with white primer for the birds and black primer for the mages. 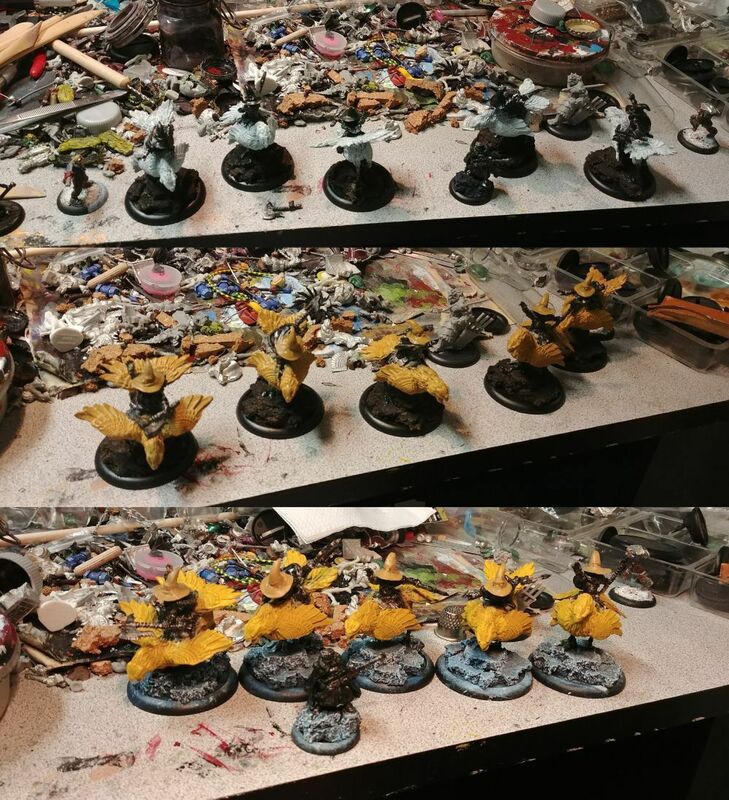 base coat of tan for the birds and then drybrushed yellow & a little gold for the leader. More painting, and we’re done!